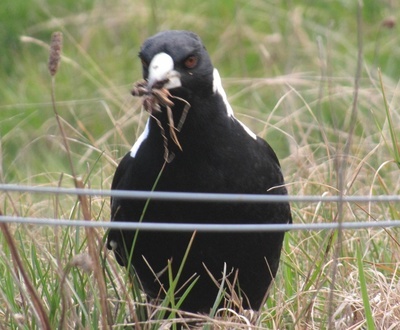 What sort of birds do you see in your Brisbane backyard? I live in an old, leafy suburb in Brisbane and see a variety of birds in my backyard. What sort of birds to you see in your Brissy backyard? We have Kookaburras, King Parrots, Cockatoos, Galahs, Butcher Birds, Minor Birds and Rainbow Lorikeets - they are all welcome and very pretty too. It's nice to see them all in the garden, isnt it Lucy? We live in an old, leafy suburb so get a good variety of birds in our backyard: crows, pheasants, kookaburras, galas, magpies, butcher birds, currawongs, cockatoos, rainbow lorikeets, noisy minors, curlews, Indian minors, king parrots and noisy friar birds. Not bad for suburbia, eh? Best part of the Brisbane River? Your choice: Jacaranda or Poinciana? On a day trip from Brisbane, would you go to the country or the beach? Best Farmers' Market in Brisbane? Have you ever cooked in a camp oven? Do you have trustworthy neighbours?